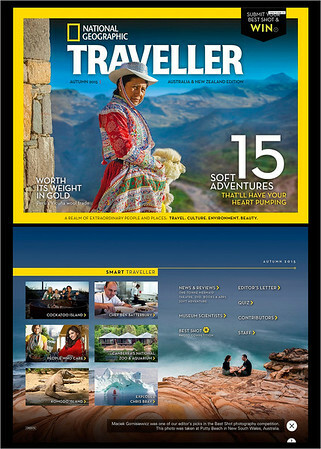 Photo "Together As One" was features as the contents page background in the Australia & New Zealand edition of National Geographic Traveller Magazine (Autumn 2015 edition). It was also selected as one of the editor's picks in the Best Shot competition. This capture comes from the online version of the magazine.